At Bill Luke Tempe, we love working on new and used FIAT cars. As such, while we’re happy to serve people who either do not want to perform their own auto repairs and car service, don’t know how, or don’t have the time; we completely understand why so many do it themselves. Like us, they believe there’s nothing so rewarding as getting some grease on their hands. 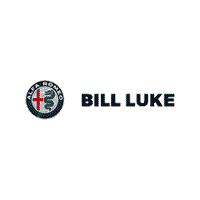 To help, Bill Luke Tempe, located at 7833 S Autoplex Loop, Tempe, Arizona carries all of the FIAT car parts you might need – from the oil filters to the windshield wiper blades, from batteries to the tires and more. If you need help determining exactly what you need to do the job right, just ask. And, if for some strange reason we don’t have exactly what you’re looking for, we’re happy to special order it right away. In the meantime, check out Specials Page for special Internet Only offers.